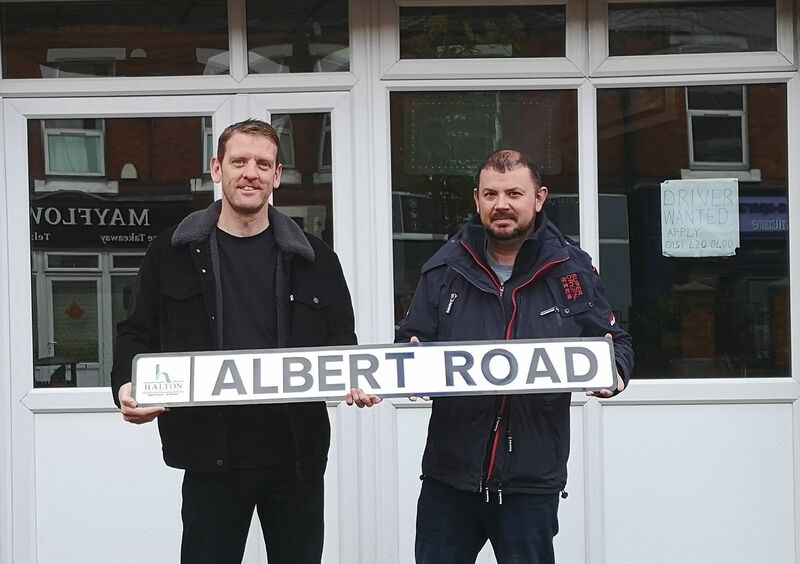 Halton Borough Council recently received a request for a new Albert Road street name plate. Nothing unusual about the enquiry, except that in this case it was requested by an Italian American family living in New York. Of course the officer who received the request was intrigued! The Council has gifted the sign to the family after hearing the family saga behind the tale. The story begins in 1955, when American Serviceman Joseph DeClemente of New Rochelle, New York was stationed with the US Air Force at the Burtonwood Airbase. While at a local party he met and began courting a Widnes girl called Marie Owens from Albert Road. In the words of his son Steve DeClemente: “Even though my Dad was a typical “Yank” in so many ways he embraced the English culture and fell in love with my Mom. However, their relationship continued until 1958 when it was announced that most operations at the Burtonwood airbase, by US Forces, were to end. With Joseph destined to be decamped back to the US, he knew he couldn’t leave Marie behind and, on the 12th April 1958 Marie Owens officially became Marie DeClemente at St Bede’s Catholic Church in Widnes. Within a few short months the couple, expecting their first child, left Widnes behind to start their married life in New York. In 1959 they gave birth to their son Steven, the first of three children they would have together. But life in New York was a culture shock for a 19 year old Widnes girl. It was a world away from the working class back to back terraces, smoke stack chimneys and the loving family she had been brought up with. With homesickness becoming too much to bear, Marie returned with the baby to her home on Albert Road vowing never to go back. Joseph, only weeks into his new job as an aircraft mechanic at PanAm, was forced to borrow money and return to Widnes. With the help of Marie’s family and friends Joseph managed to convince her to return to New York. But this change of heart came with the promise that they would visit Widnes every year. Steve said: “Our family pretty much holidayed in Widnes every year. I always looked with such excitement to return to my second home in Widnes. “Our family grew in 1960, with my Sister Janice, and then in 1967 my Brother Todd. We grew up in West Hempstead NY, where our Mom & Dad enjoyed a very full, exciting life but Widnes always played a part. “Planning for their retirement the couple bought a home in Florida. 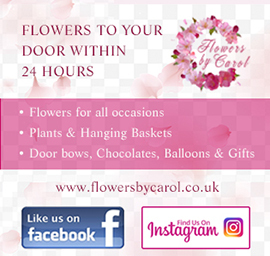 Unfortunately Marie was diagnosed with lung disease and passed away on 25 August 2017, with her family by her side. PIC: David Brandreth, from Brooklands Park, Widnes, the Grandson of Marie Owens’ sister with Iain Dignall, Halton Borough Council’s Senior Engineer & Public Rights of Way.